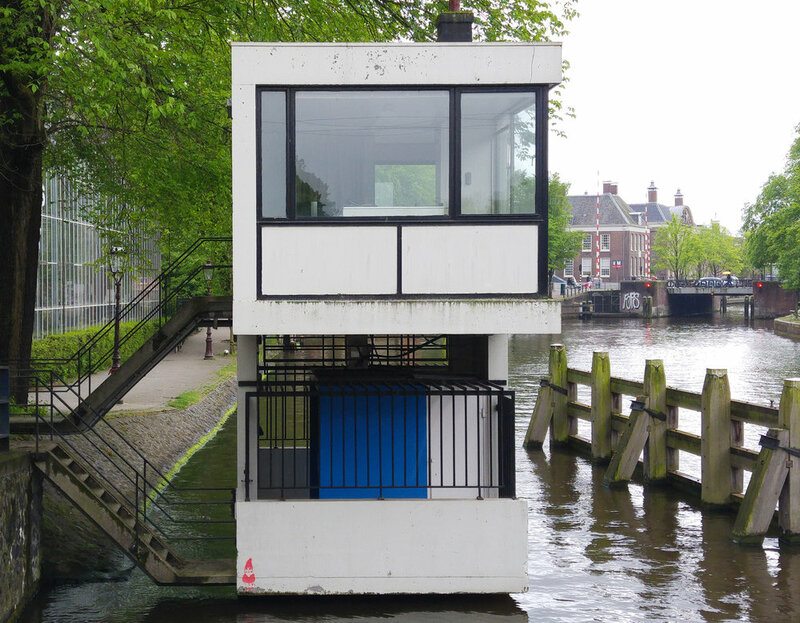 there are small buildings standing on the top of the bridges in amsterdam. these are the humble but important miniature replicas that leads you to follow architectural styles of the city. 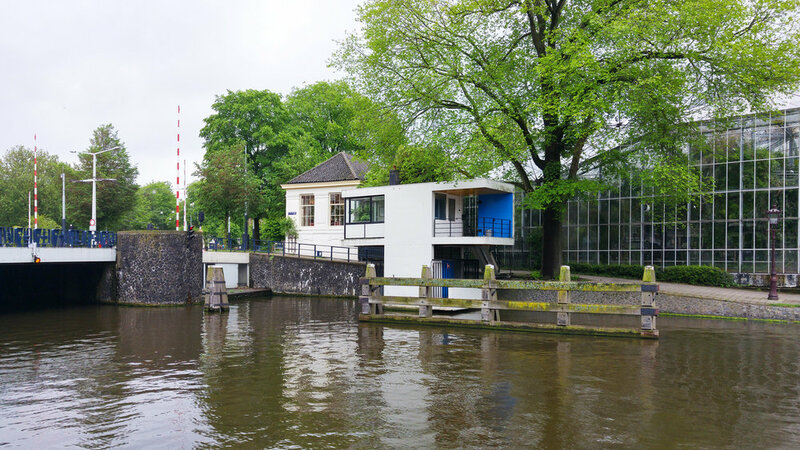 since 1917, the names such as berlage, piet kramer and aldo van eyck that shaped urban and architectural history have been commissioned by amsterdam public works department to build these structures—one of the modest elements of urban identity. 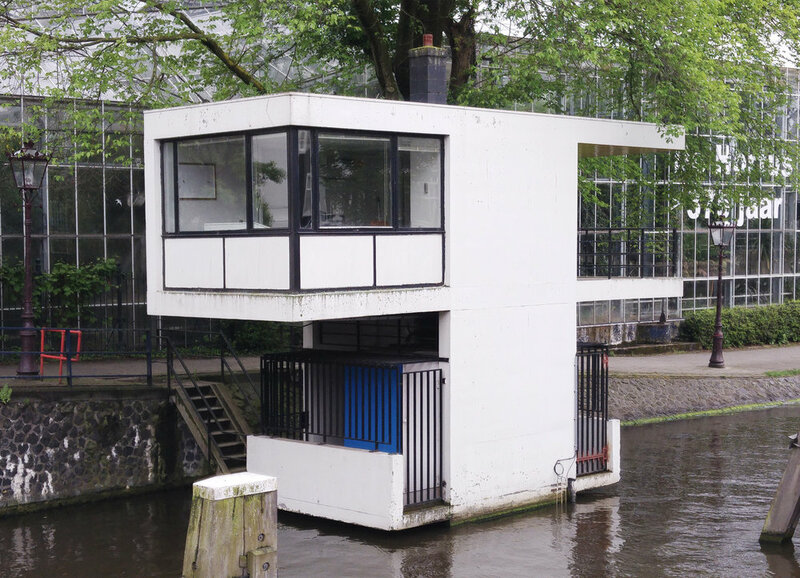 this one built in 1956 for hortusbrug bridge follows de stijl movement for two obvious reasons: form and the color. concrete structure dominated by white and navy blue consists of an office with steel framed windows and an open balcony. 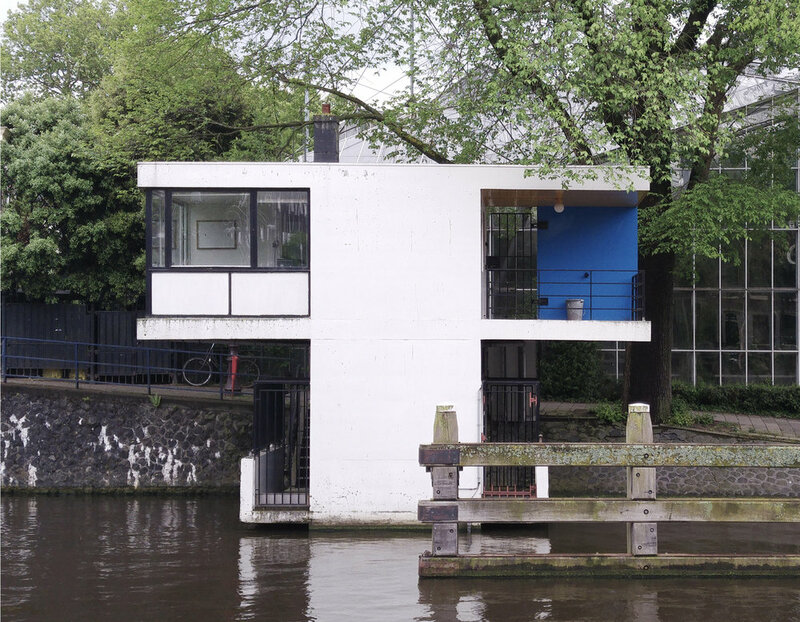 the architect dirk sterenberg positioned the building not “on” but by the side of the bridge, so that the bridgemaster would have a good view of the bend—a naive expression from the architect to the user. 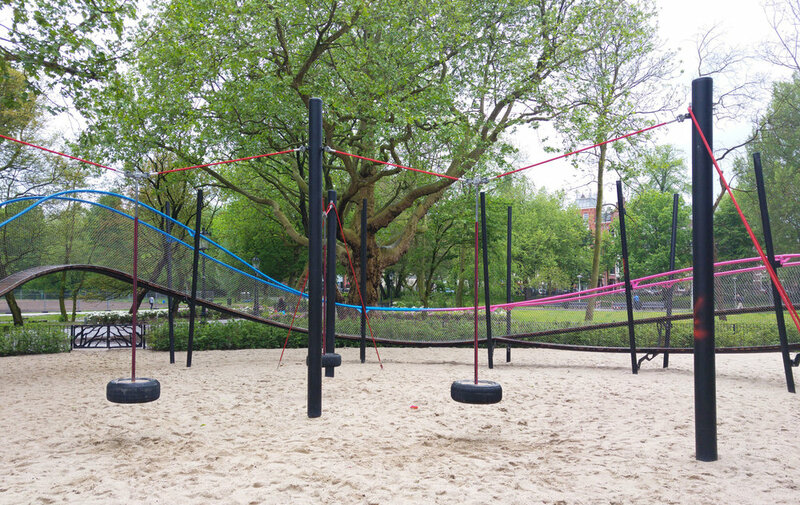 oosterpark play garland is a part of oosterpark’s renovation project which is one of the oldest parks of amsterdam. 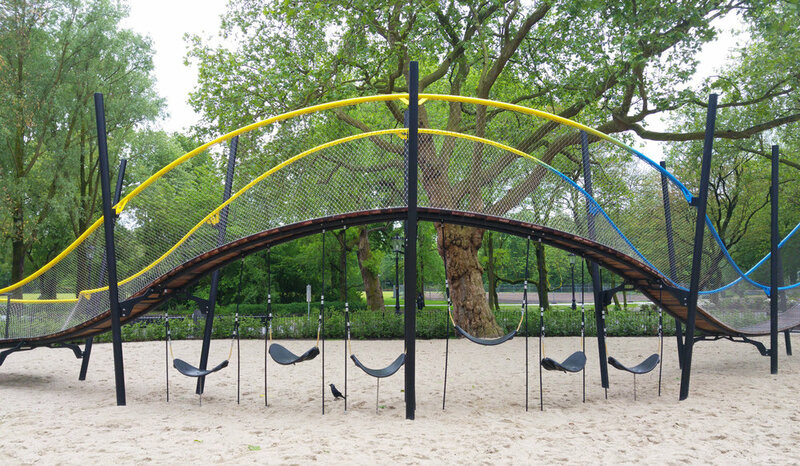 this 88 meters long play object is designed by the landscape architects carve for the children. 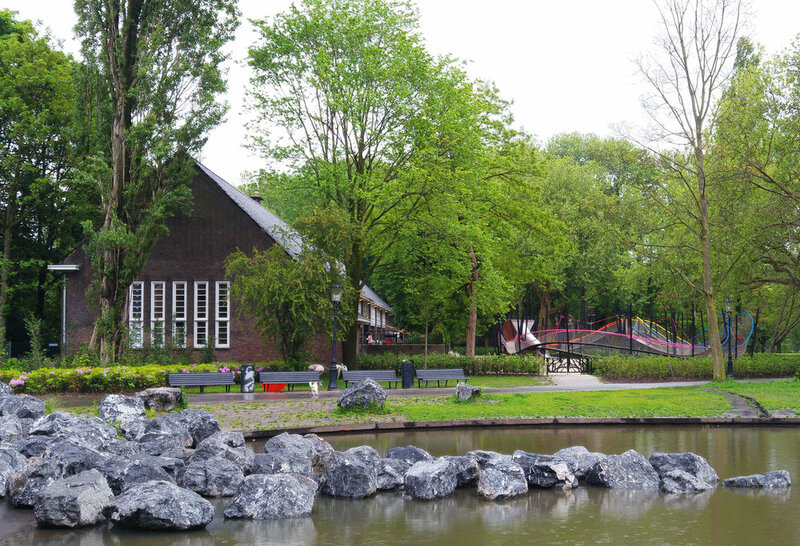 situated in the north-west corner of the citypark, its located in front of the open air school which is also a municipal monument. 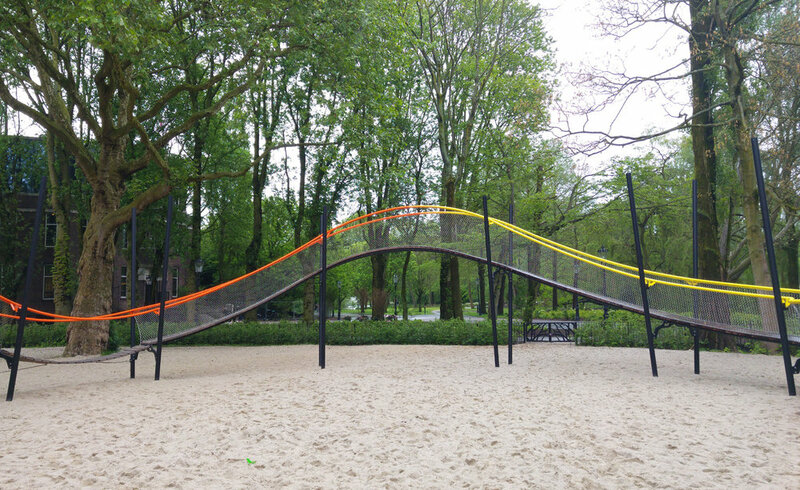 the form consists of rise ups and dives with twists and turns, and subtly tells you what to do with its saturated and live colors. the inviting appearance of the structure takes attention of every people from every age, triggers creativity and activates the city park again. 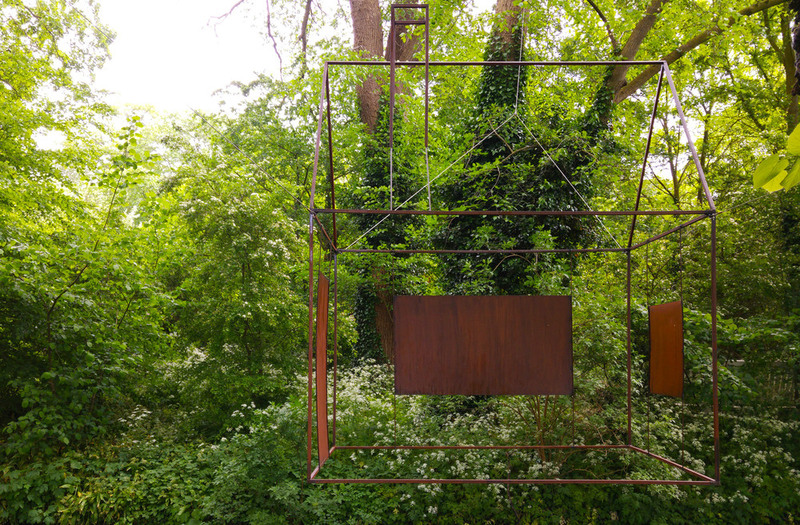 a new exhibition called a foolish summer with the participations of seven modern-day artists takes place at park frankendael—one of the oldest parks of amsterdam. for the exhibition, every artist designed their own architectural construction called “follies”. in the 19th century, so-called “follies” were structures built for no purpose other than as an ornament. 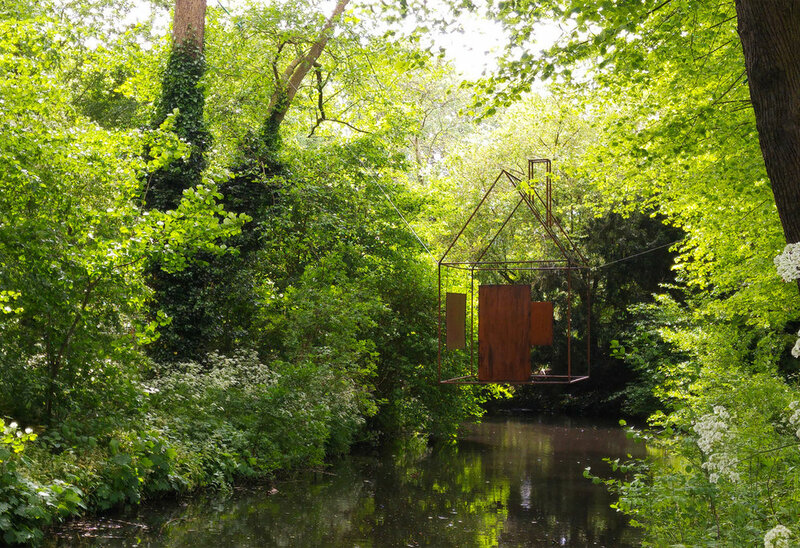 this “folly” designed by the dutch artist berend strik is a steel house structure. it needs some attention to get noticed: i can’t decide if it’s because of the density of the trees—so it’s disappearing—or because it’s in such a harmony with the surroundings and feels like it has always been there. there is nothing like a sign or a guide to find it—it’s just popping up while walking at the park. this encourages the eyes to realize and the brain to think about.